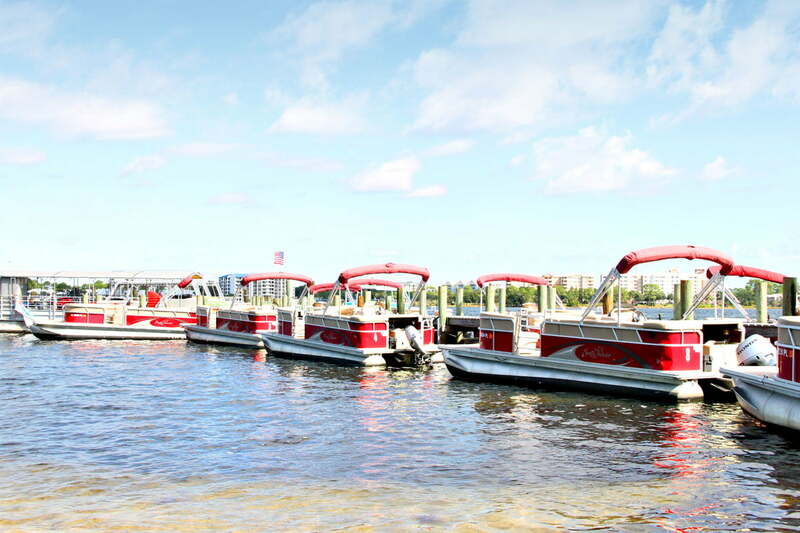 Reserve Your Boat Today, Book Now! 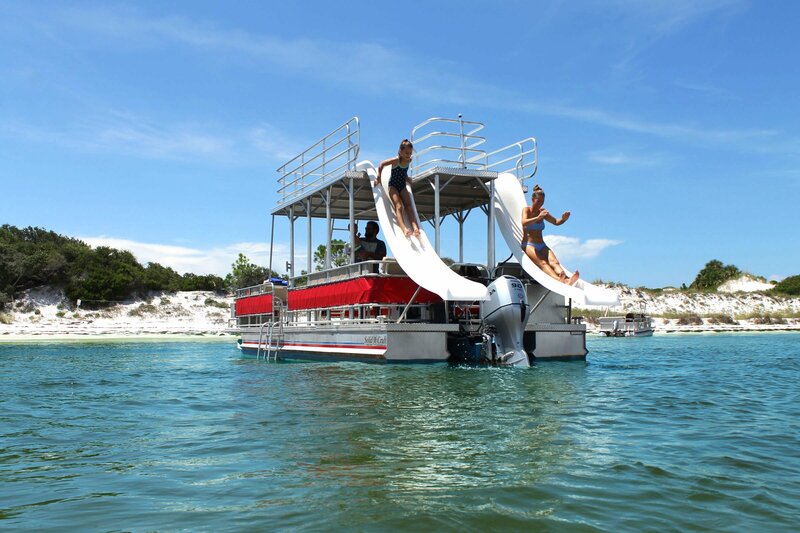 Here at Panama City Beach Pontoon Boat Rentals at St. Andrews State Park we have Pontoon Boats ready for your vacation adventure to Shell Island. 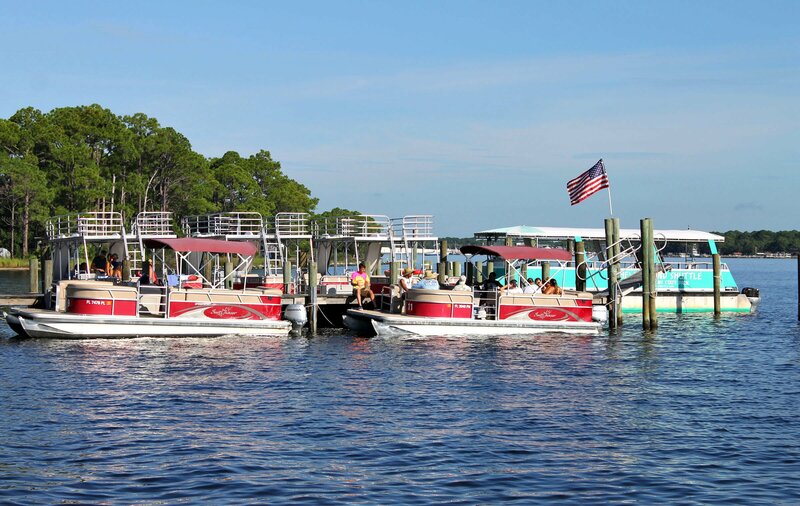 All of our pontoon boats here at St Andrews State Park are well maintained. 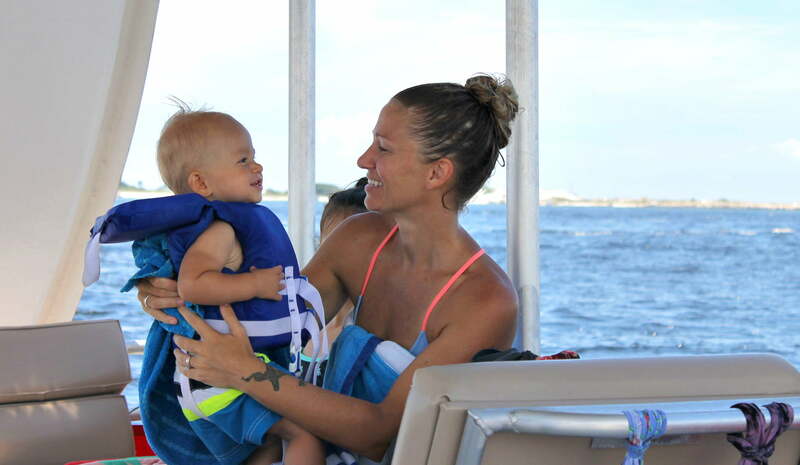 Enjoy the flexibility of taking your family to explore the Island on your own time. Get up close and personal with the dolphins. 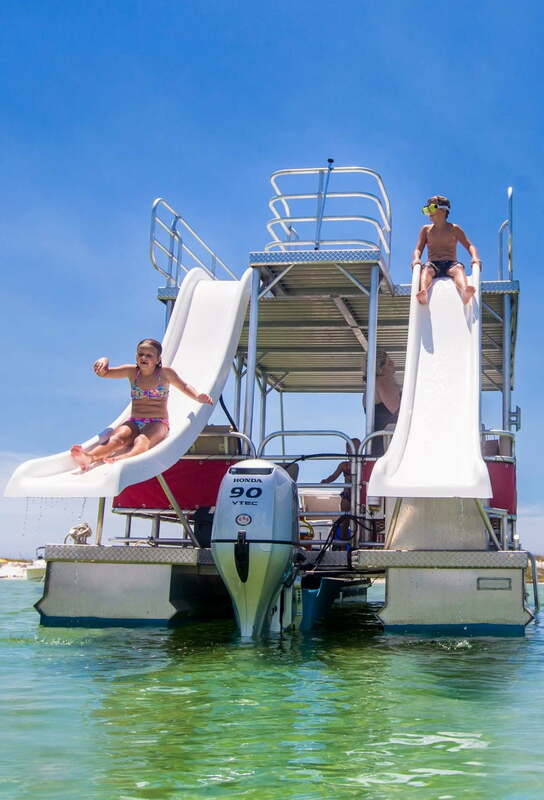 You and your family can even rent Snorkel Gear to take with you on your Panama City Beach Pontoon Boat Rentals. Go shell hunting, check out the marine life and unveil the mysteries of the Island. 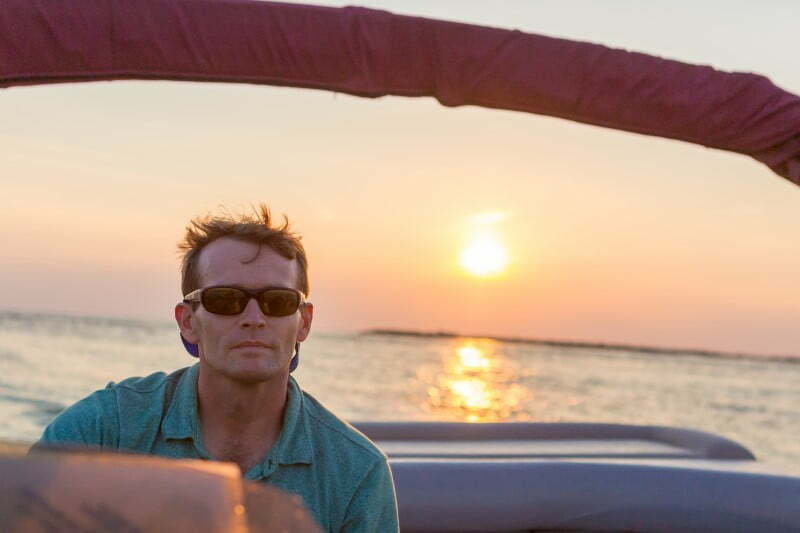 Ever dream of being a captain of your own boat? Let us help you make that dream come true. 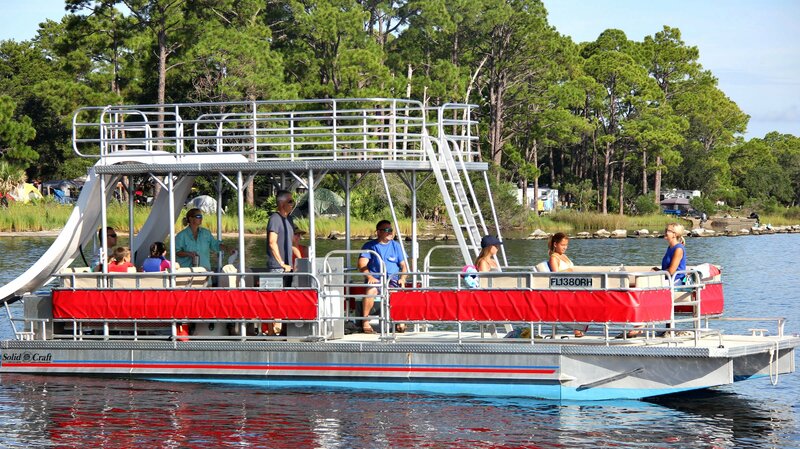 We provide you with instruction on the proper use of the vessel. Maps of the area, all safety gear and fuel are included with your rental. 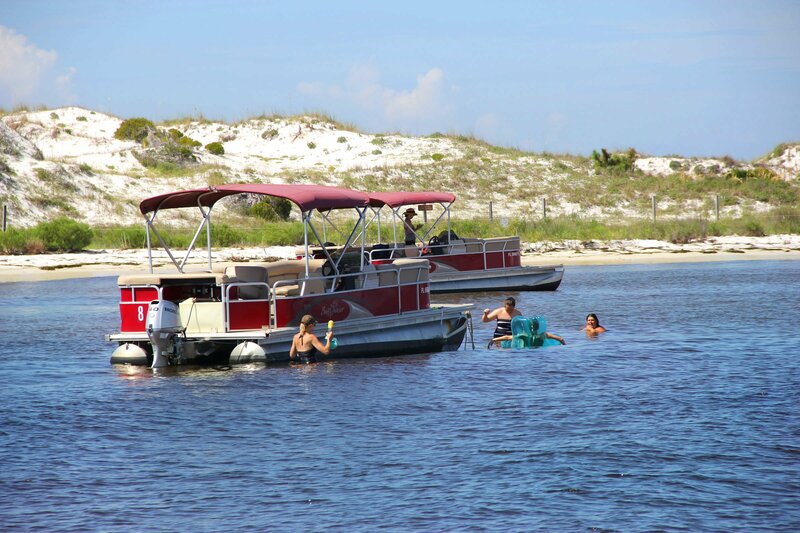 Panama City Beach Pontoon Boat Rentals are a great way for the entire family to spend the day. 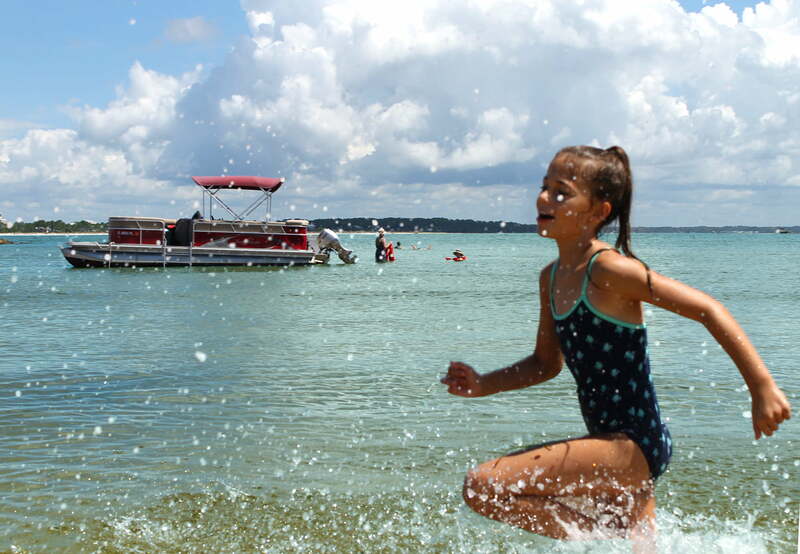 The relaxed pace and beautiful views capture the attention of all age groups. 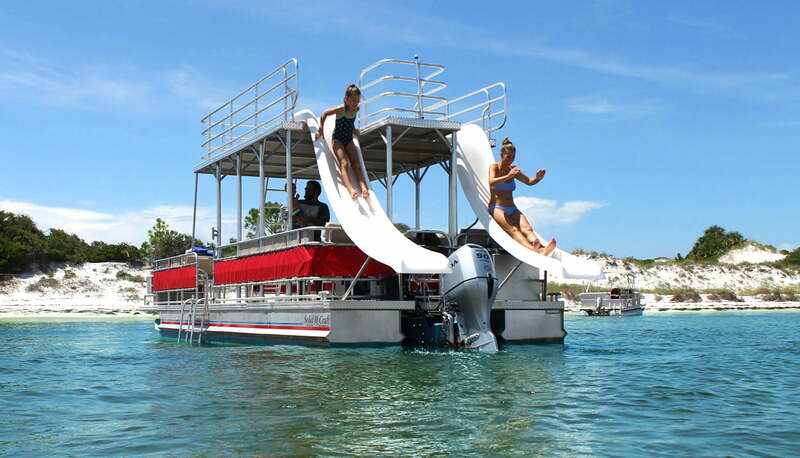 Check Out Our Double Decker Pontoon Boats! 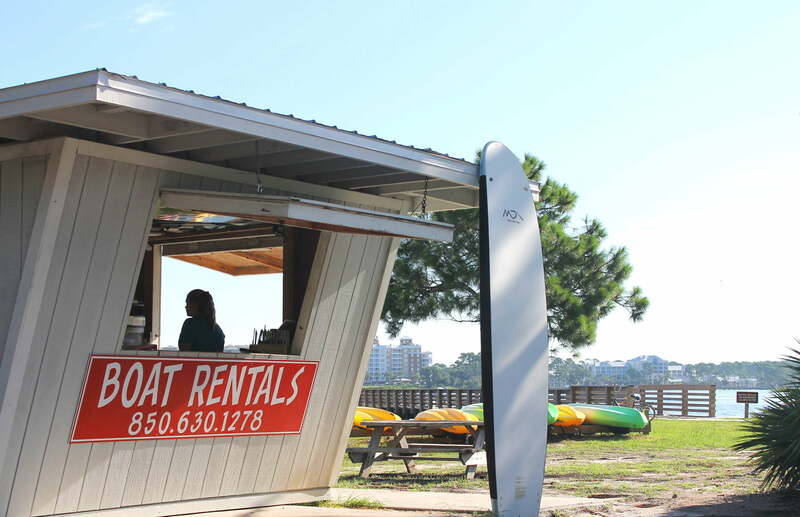 We want your boat rental experience to be one that you enjoy. 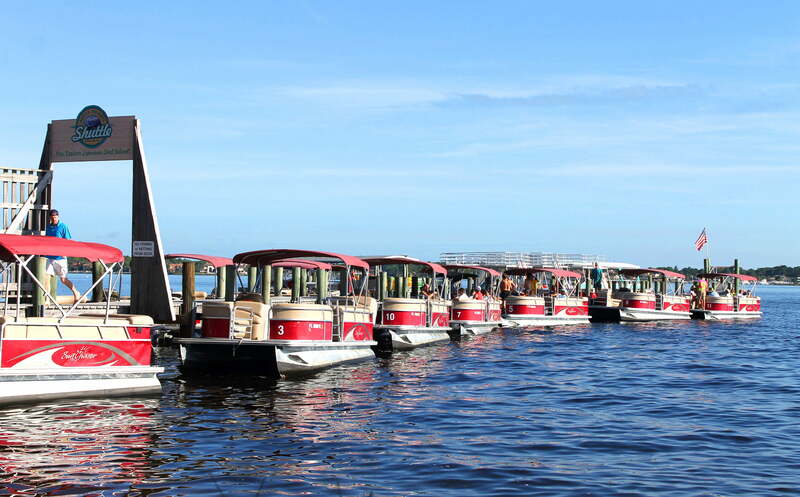 By making sure the boats are clean and in good working order is one way that we do that. 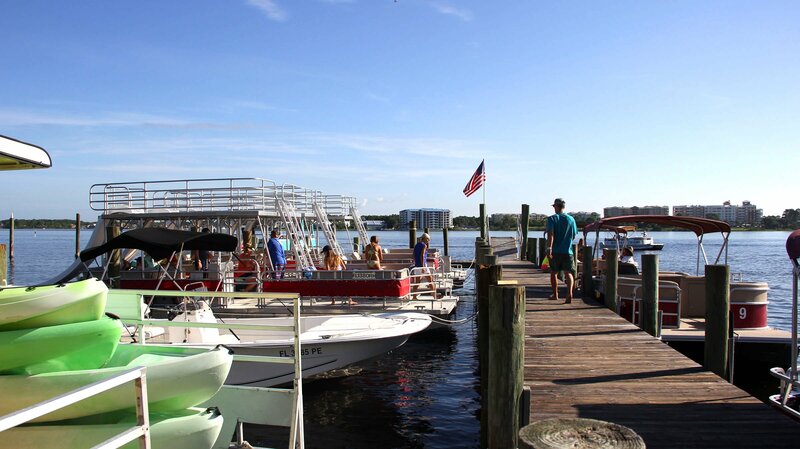 Panama City Beach Pontoon Boat Rentals is the closest boat rental facility to Shell Island. 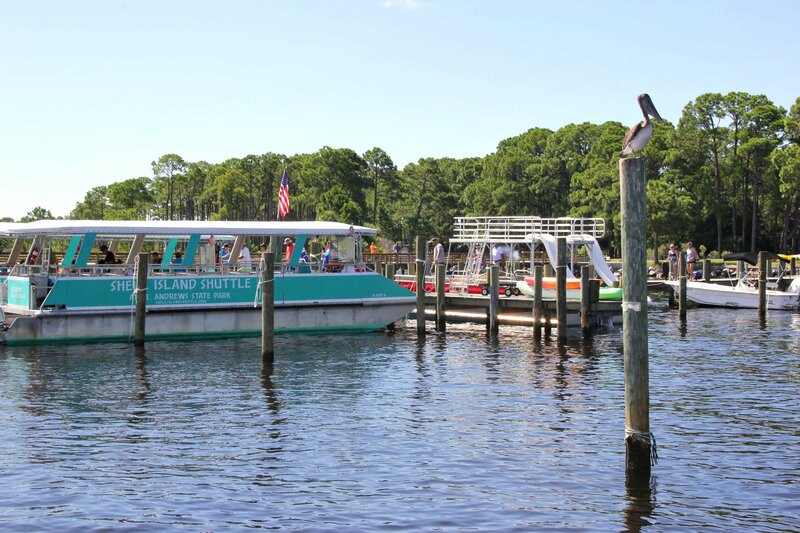 That way you get to spend most of your time enjoying the sights and marine wildlife instead of spending the day driving to and from the marina. 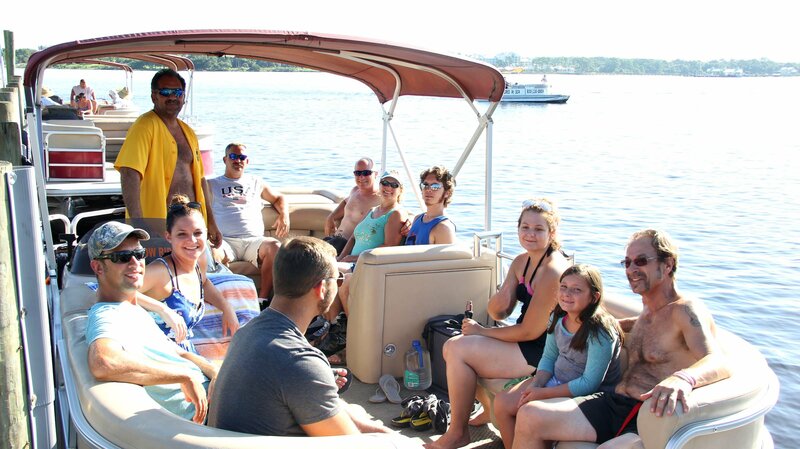 We look forward to seeing your family and friends the next time you decide to rent a pontoon boat in Panama City Beach. 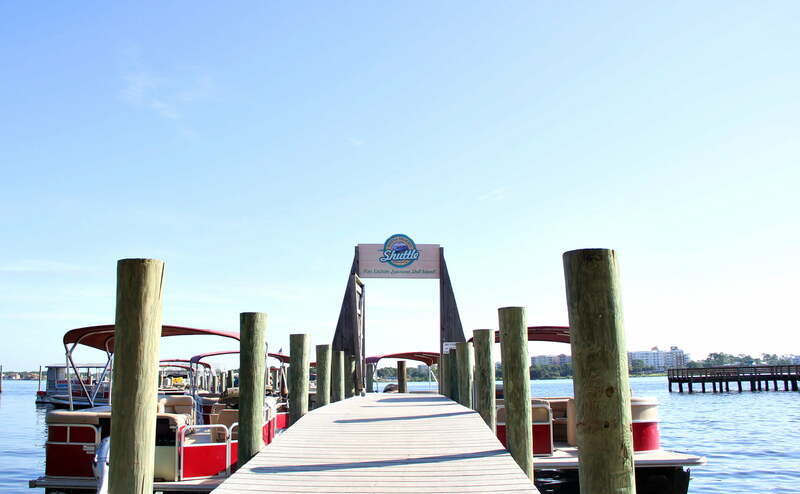 Our pontoon boat rentals are maintained and cleaned daily without rental signs posted all over the sides. 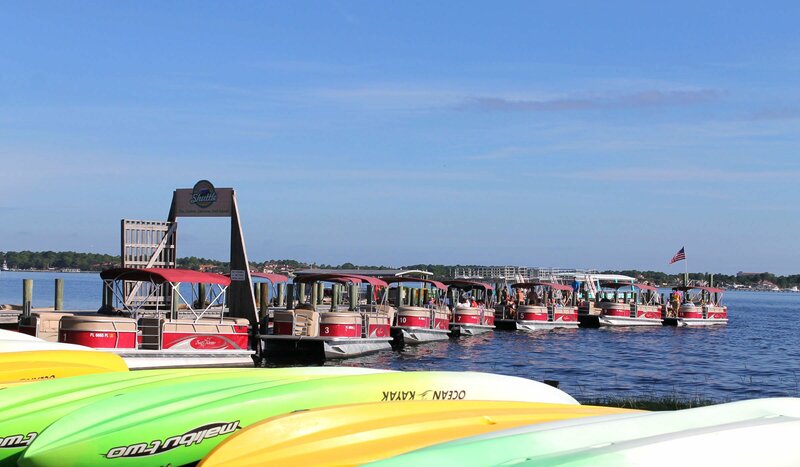 We believe that when you rent from us, the boat is yours for the day, so bring your flags from your school or pro team and fly them from your pontoon boat while you’re on the water. 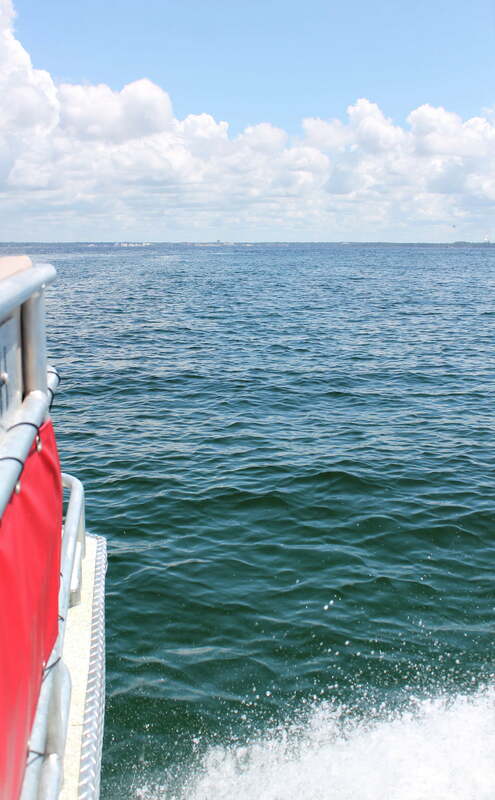 There’s plenty of stowage aboard as well so bring your coolers, floats and snorkel gear! We’ll even make room for the family pet! 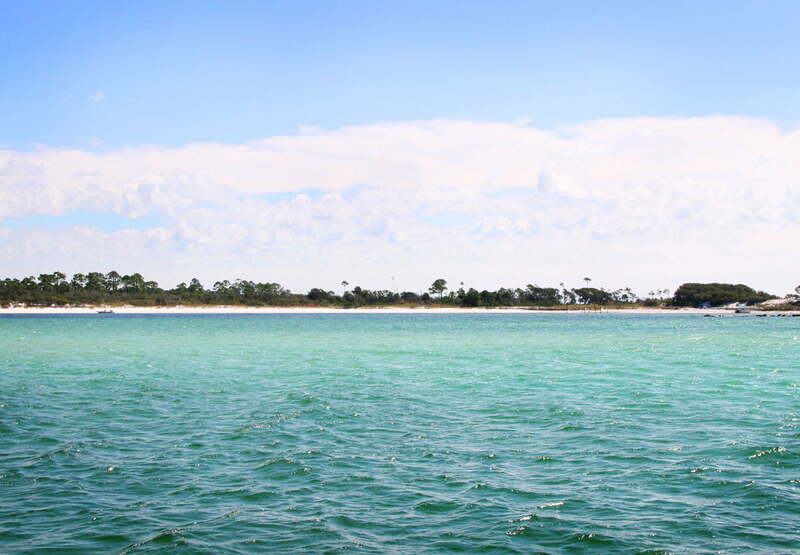 Located in St. Andrews State Park, Shell Island is a straight shot away. 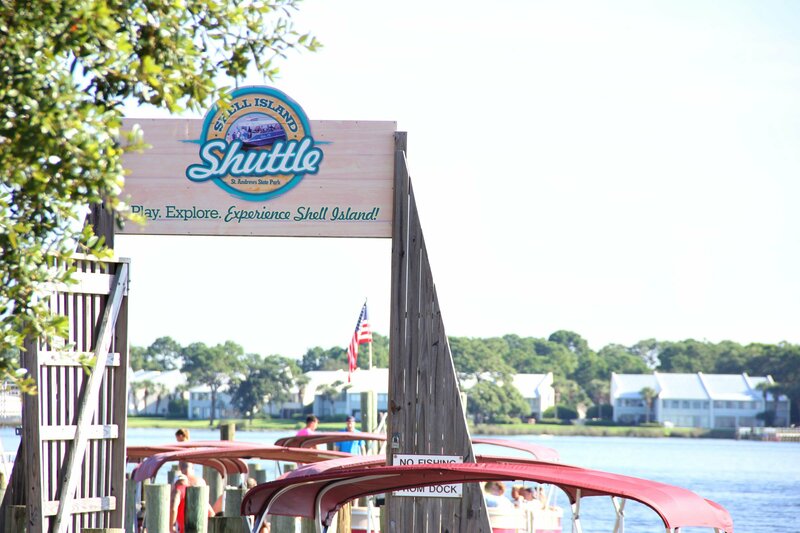 Be on the Island in minutes enjoying your family adventure! 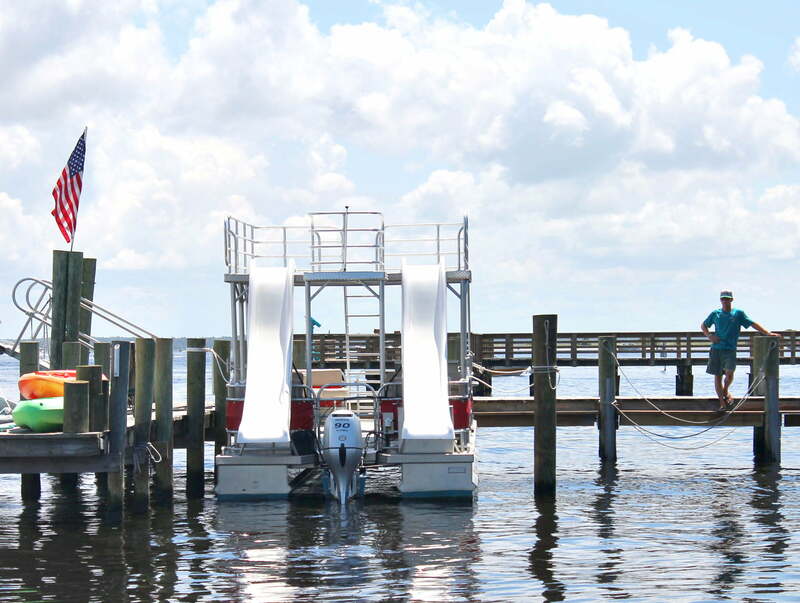 Pontoons are in limited number and very popular so call us today to book yours for the Island! You can reach us at (850) 630-1278! Don’t forget to rent your Snorkel Gear as well! 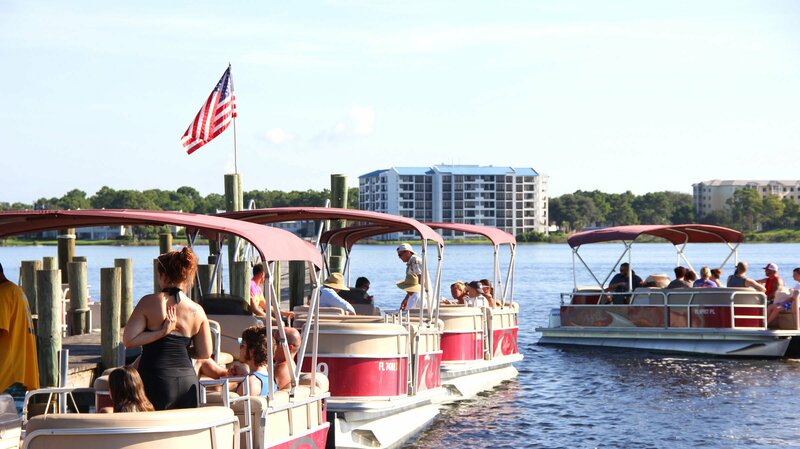 Call 850-630-1278 for reservations and pricing. Cancellations If you do not cancel within 24 hours you will be charged full price.